With the popularity of such reality TV shows as So You Think You Can Dance, dance has become increasingly visible within contemporary culture. This shift brings the ballet body into renewed focus. Historically both celebrated and critiqued for its thin, flexible, and highly feminized aesthetic, the ballet body now takes on new and complex meanings at the intersections of performance art, popular culture, and even fitness. 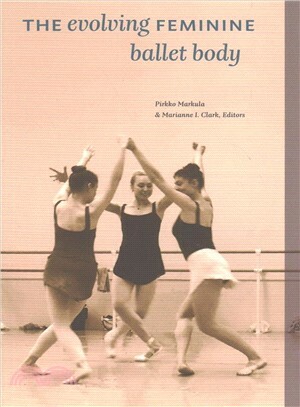 The Evolving Feminine Ballet Body provides a local perspective to enrich the broader cultural narratives of ballet through historical, socio-cultural, political, and artistic lenses, redefining what many considered to be "high art." Scholars in gender studies, folklore, popular culture, and cultural studies will be interested in this collection, as well as those involved in the dance world. A dancer and instructor, Pirkko Markula is Professor of socio-cultural studies of physical activity at the University of Alberta in Edmonton. Marianne I. Clark, a dancer and postdoctoral researcher at the University of Waikato, New Zealand, studies socio-cultural aspects of physical activity.